Who does not want to age gracefully. A liquid facelift allows women as well as men to defy the aging process without surgery and its potential risks and incisions. Multiple medications are injected into various locations of the face and neck into varying depths into the skin, fatty and muscle layers to fill hollows, wrinkles and folds and to lift and tighten. These medications are FDA approved for cosmetic use to aid in the rejuvenation of the aging face. Drs Debra and Vivi Stafford will use a variety of injectables in strategic locations of the face to provide a more youthful facial contour. With expert placement and sufficient medication, a younger appearing face is achieved in over 99% of patients. Who does not want to look 10-20 years younger than their chronological age and when asked if they have had a facelift, can honestly say NO. What types of medications (injectables) are used? The injectable medications FDA approved for cosmetic use in the face is extensive. Each medication is unique in its mechanism of action and uses. Many of the commonly used medications are hyaluronic based while others are composed of differing compounds. Drs. Stafford will discuss the types of product used in each individual patient. How do the medications (injectables) work? The mechanism of action of the injectables varies. The hyaluronic acid products primary mechanism of action is via filling and folds and wrinkles. Hyaluronic acid products can also lift important regions of the face such as the cheek. A secondary effect of hyaluronic acid based products is also the natural stimulation of the patient’s own collagen. Other products primarily stimulate collagen production and can counteract the normal decline of facial volume. Others injectables can enhance the jawline and chin. The results of a liquid facelift are very long lasting. Of course, the aging process cannot be halted completely but can be slowed dramatically. With minimal maintenance, the results will last for many years. In a “nutshell”, if a person opted for zero facial rejuvenation vs injectable rejuvenation, the patient who was treated with injectables will generally appear as having aged less over a two-ten year period. 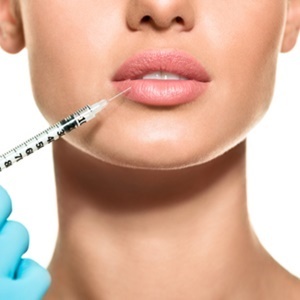 The long term risks of injectables varies with each product. Generally, short and long term risks are minimal and the products are very safe with an extensive track record. Recovery can vary depending on the amount and type of product used. In most cases, patient’s can return to work in a couple of days. When do I see the final results? Improvement is appreciated often immediately or in a couple of days. Final results may not be apparent for 3-6 months as the pts facial collagen is being produced. Can I have a laser treatment or skin peel concurrently?